If you have diabetes, you run the risk of developing diabetic retinopathy, a common diabetic eye disease. Symptoms of diabetic retinopathy may not appear until after you’ve had diabetes for about 10 years. Regular eye checkups from Modern Eyes Optometry in Carlsbad give your optometrist a forum for monitoring your eye health and checking for signs of this disease. Early detection of diabetic retinopathy can help save your vision. Diabetic retinopathy affects blood vessels in the retina of your eye. A rise in blood glucose levels can prompt swelling of retinal blood vessels, causing fluid to leak into the macula of your eye, damaging central vision. High glucose levels can also cause the growth of abnormal blood vessels on your retina, which can also impair your vision. The retina is responsible for receiving light from the lens of your eye, converting it into neural signals and sending those signals to your brain for visual recognition. Damage to retinal blood vessels can cause loss of vision. Left untreated, diabetic retinopathy can cause irreversible blindness. The older you get, the greater your risk of getting this disease. 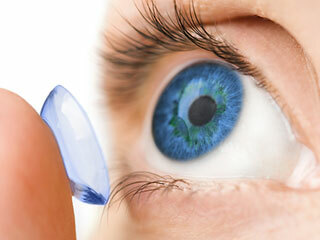 If you have diabetes, you should make optometry care a priority to help preserve your sight. In the early stages, this disease may have no outward symptoms or signs of pain, making it difficult to detect it on your own. As the disease advances, however, you may start to see signs of blurred vision, double vision, spots, and floaters and even experience eye pain. The good news is that diabetic retinopathy can be prevented by faithful management of your diabetic condition. Healthy living habits to include a nutritious diet, regular exercise and adequate sleep can also help in preventing this disease. Poor lifestyle choices like smoking, excessive drinking, and drug abuse increase your risk of diabetic retinopathy ruining your eye health. Mild cases of diabetic retinopathy can be treated by managing your diabetic symptoms. Keeping your glucose levels steady helps stop the progression of this disease. Advanced cases may require the use of laser therapy or surgery. After evaluating your condition, your Carlsbad optometrist can recommend the best option for treatment. To schedule an exam for diagnosis of diabetic retinopathy, contact Modern Eyes Optometry in Carlsbad at 760-678-0008 today.